FAILURE TO enforce the planning laws, poor administration, files getting “lost”, exceeding delegated powers, sidelining of professional planners, poor morale and non- response to complaints were among the failings of Carlow County Council. A report published in 2010 by former Louth county manager John Quinlivan, commissioned by the council after the Local Government Audit Service raised concerns about “corporate governance”, found that several of its practices were “unacceptable” and should be changed. PLANNING: THE TRIBUNAL’S findings “demonstrate the need for a tightening of procedures for the zoning of development land”, the Irish Planning Institute has said. However, it expressed satisfaction that at no stage in the inquiry had the integrity of professional planners been questioned. “In order to prevent a repetition of mistakes . . . and to ensure that local decision-making is made in the interest of the common good, it is important that the policies adopted at local level are checked before they become statutory,” it said. Tim Collins played a key role in Bertie Ahern’s financial affairs, including his annual fundraising dinners. THE MAHON tribunal report draws specific attention to the closeness of the corrupt lobbyist Frank Dunlop to the Fianna Fáil party, to former taoiseach Bertie Ahern and to one of his closest associates, Tim Collins. Collins played a key role in Ahern’s financial affairs, including his annual fundraising dinners, and ownership of his St Luke’s base in Drumcondra, Dublin. He was never a member of the party but did play a role in controlling money raised during election campaigns in Ahern’s Dublin Central constituency. ANALYSIS: We need to introduce a new prototype of local authority to replace our obsolete councils, writes DIARMUID Ó GRÁDA. THE REFORMS which follow the planning tribunal report must be far-reaching. Our local government system is based on the era of the horse and cart. There are 114 local authorities. The primary tier of 34 county and city councils covers the entire country, while the second, 80 smaller councils are obsolete. THE PLANNED regeneration of the Dublin City Council flats at Dominick Street has been put on hold because of a possible conflict with the proposed cross-city Luas line. In late 2010, the council lodged plans with An Bord Pleanála for a €60 million regeneration of its flat complexes at O’Devaney Gardens and Dominick Street. The Irish Planning Institute has noted the conclusions of the Mahon Report on irregularities in the planning process and is satisfied that at no stage in the process of the tribunal inquiry, has the integrity of professional planners been questioned. However, the Institute is of the view that the Report's findings demonstrate the need for a tightening of procedures for the zoning of development land. The Institute welcomes the publication of the report which marks the end of a lengthy public inquiry. While the report does criticise the conduct of certain persons in the planning system (as did the previous interim report from the same tribunal), none of these persons are professional planners or members of the Institute. As well as confirming the integrity of the planning profession in Ireland, the report’s findings provide an opportunity to reflect on the distinction between the different roles of those responsible for the operation of the planning system. The report acknowledges that there have been changes in intervening years which have strengthened the planning system and that these have been positive. It agrees with the majority of the recommendations in particular those that suggest that National Plans (NSS and NDP) should be put on a statutory footing. The suggestion that "gaps" still remain at regional and national level in terms of the election of Regional Authorities and the appointment of board members to the NTA is valid. The IPI has for many years suggested that regional planning is essential in Ireland having regard to size of the country and the multiplicity of County Councils. Many infrastructure projects, towns, etc. serve regions and it is only logical that these should be planned in a regional context. It is normal in many European countries to have strong regional government with decision making powers. Recent amalgamations of local authorities provide a context for strong regional planning. 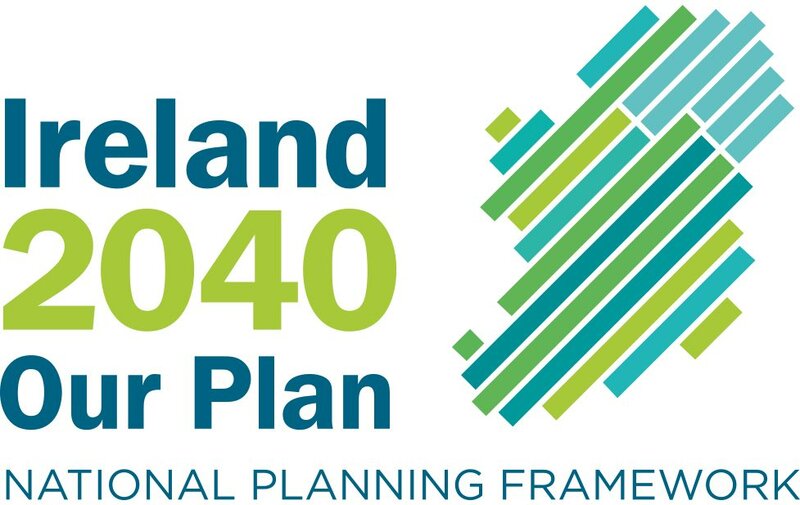 Listen to the Irish Planning Institute's planning reform proposals on Morning Ireland. DUBLIN councillors were paid tens of thousands of pounds in bribes because of the pivotal role they played in deciding what lands could be developed. Every six years, local politicians review their county development plans. These plans set out where houses can be built, what sites are suitable for shopping centres and where industrial parks should be sited. The councillors played a key role in adopting those plans, enjoying significant powers. While officials made recommendations, each plot of land earmarked for rezoning had to be put to a vote of the council -- meaning the politicians had the final say. This meant that a developer who spent millions on a plot of farmland, in the hope that he could build houses, could be stuck with a worthless site for years unless councillors rezoned the land. The incentive to make corrupt payments was obvious -- for just a couple of thousand pounds, councillors could be 'bought' and their votes used to push a rezoning motion through, often against the advice of officials. The Quarryvale planning saga tells the story. From the early 1990s, lobbyist Frank Dunlop began bribing councillors to push through a rezoning motion to rezone 170 acres of land in Clondalkin. The vote was passed with the help of the corrupt politicians, and one of the country's biggest shopping centres, Liffey Valley, was built. Both sides won. The councillor had money in the bank, and the developer was now sitting on a plot of land potentially worth millions and far in excess of what was paid for it. Minister for Housing and Planning Jan O'Sullivan today announced details of housing capital allocations to local authorities worth some E251.5 million for 2012. The allocations will support investment under the national regeneration programme, works to improve the standard and energy efficiency of the national social housing stock as well as meeting commitments under existing contracts for delivering social and voluntary houses. A multi- annual capital investment programme for new housing construction projects will be outlined later in the year. Minister O'Sullivan pointed to the fact that the social housing capital budget had declined significantly in recent years. "In managing this decline, the government has protected to the maximum extent the budgets for homelessness, regeneration, and grants for the elderly and the disabled. With the economic crisis and restrictions on government borrowing, the government has to provide social housing by other means." The Minister went on to note that she had some E691m available to her in capital and current funding to support a broad range of measures under the Social Housing Investment Programme for 2012. Of this, capital funding of E390m is being provided for housing construction, regeneration and improvement works this year, while the current budget will support flexible housing supply models based around the leasing of properties, including properties being made available by NAMA this year. The Minister stated that "at least for the foreseeable future, the days of large capital funded construction projects are over. We need to think anew. The need for social housing is still growing and we need to deliver bigger numbers of social housing in different ways. A good example of this is the Capital Advance Leasing Facility which provides an up-front equity stake of up to 30pc of the property value to approved voluntary housing bodies who raise private finance to acquire or build new social housing units, using leasing payments to repay loans in respect of their equity share. This year I'm setting aside E20m to support this important measure. I am confident that across all measures, we will deliver between 3,500 and 4,000 additional social housing units this year. Additionally, investment in improving the social housing stock is expected to make some 1,500 properties, which are vacant at present, available for re-letting this year"
The allocations includes some E90m to ensure real progress is made under the ambitious regeneration programmes in Limerick City, Ballymun, in estates and flat complexes in Dublin City and at a number of regional locations. Despite the constraints on the construction programme, we will allocate almost E60m to local authorities this year to fund ongoing construction work and acquisition commitments. Over E50m will be provided to local authorities for improving the standard and energy efficiency of the social housing stock. E18m of this is ring-fenced for improving the energy efficiency of older stock, with a particular focus on bringing vacant stock back into productive use. IT's not just our health that will suffer if we don't clean up our water. Thousands of jobs in IT, pharmaceuticals and the food and tourist businesses are at risk if we don't improve quality and produce water on a par with the best in Europe. Ireland faces a major challenge over the coming years. Water quality is improving, but hundreds of treatment plants across the State need to be upgraded. And it's going to be very expensive -- experts say at least €500m is needed every year up to 2027 to meet EU targets on water quality. Much of our economic success has come about because multinationals like Intel in Leixlip and Pfizer in Cork see Ireland as a place that can meet demand for clean, good quality water. Coupled with our low corporation tax rates, it has enticed major employers in the IT, pharmaceutical and chemical industries here. If there's any drop in quality they will go elsewhere, resulting in the loss of thousands of jobs. The Government also plans a major increase in food production, with the Food Harvest 2020 strategy planning to increase exports by 42pc by 2020. Food production is very water-intensive. We all know about the drive for more tourists. Clean and green Ireland attracts anglers, walkers and families. Upset stomachs and putrid bathing waters won't pull in the tourist euro. A step in the right direction is to establish a single company, to be called Irish Water, to take control. It will borrow money to build plants and upgrade the system, while also providing specialist careers in water management -- expertise that could be later exported as the world grapples with water shortages. The problem for the Government is how to pay for all the work. Ireland is one of the few EU countries without household water charges, meaning there is no incentive to reduce use. There's also no money in the kitty, meaning that even had the troika not insisted that domestic water charges be introduced, they probably would have happened anyway. But there's a lack of certainty on how the system will work -- how much 'free' water will be given? How much will people pay? What happens to those living in homes where a meter cannot be installed? The international experience only tells us so much. Average daily cons-umption per adult in Ireland is 150 litres. The free allocation in Johannes-burg, South Africa, is 25 litres per day. In Flanders, it is 41 litres. Will we be somewhere in the middle? The average household water bill in Scotland is £324 (€388 ) a year -- just over €1 a day -- but the Scots don't have to grapple with a raft of stealth taxes introduced to help shore up creaking government coffers. The introduction of household water charges from 2014 is among the toughest challenges this Government will face. Everyone knows our water services are not up to scratch and will bitterly resent having to pay for a sub-standard service. It's for precisely these reasons that we're going to have to start paying. If we don't, we face the prospect of more health problems, and hi-tech companies moving elsewhere. The response to the rejection of the planning application for the proposed National Children’s Hospital was more than intriguing. Anybody casting even half an unjaundiced eye on the whole development could have foreseen that there were serious problems with the application. This was to be a very large national hospital bringing people in from all over Ireland to the very centre of Dublin. During certain times of the day, the centre of Dublin and indeed most of our larger urban areas resemble large slow-moving parking lots. Why anybody would think that building a very large-scale hospital, with the introduction of many thousands of additional car journeys, in the middle of this parking lot would do anything other than make the traffic situation even worse? The reaction by some has been amazing. Tánaiste Eamonn Gilmore is reported to have said he would not rule out changing the law to ensure it could go ahead. Senator John Crown, an otherwise apparently sensible individual, is reported to have compared Ireland to a banana republic and suggested that the Bord Pleanála decision should be overturned. Ridiculing engineering, planning and architectural professionals because you do not like the decision they take, on tried and tested planning grounds, is petty. One can only hope that these folk decrying the decision ran their mouths before they actually thought about the implications of what they were saying. We should not forget that bending the rules, ignoring the rules or even making new rules to suit certain individuals or corporations is a large part of the reason that the Celtic Tiger bolted these shores. It’s not for nothing that Dublin was coined the "wild west" in certain overseas financial circles. Now, when a statutory body established to ensure that professional planning and development rules and requirements are implemented and enforced fairly and without favour, the cry goes up to change the rules or ignore the findings. Do we never learn? We undermine these organisations at our peril. There is an unquestionable need for a National Children’s Hospital. The medical fraternity, by and large, agree with the specific disciplines and expertise and the facilities that would be necessary. It should have been built years ago. If that was the only consideration, it would have been all fine and dandy, but it’s not. If the stories are true, and given what has gone before, there is no reason to disbelieve them, certain individuals decided that this hospital should be located in the Mater. It would also appear that subsequent reviews of that decision were undertaken with terms of reference that required looking at nothing else other than a predefined decision. It was not the place to start. Now, there are those who are saying that the planned structure should be reduced in size, scale and scope, despite the fact that only the other day they were saying that everything in the hospital is vital. Rather than exacerbate a problem, we should now take the opportunity to plan this properly. However, those with predefined views need to be taken out of the equation. Those with vested interests should be ignored. The medical fraternity has already defined what needs to be in the hospital. Now let other professionals decide the best location for it taking into account the overall common good. Most importantly, let it be done in a very tight time frame so that a much-needed facility is provided at the very earliest opportunity. Some have suggested that the decision to reject this location is a slap in the face of sick children. It’s an emotive argument and, as we all know, hard cases make for bad law. We should do things because they are right and not just for right now. WEXFORD LOCAL DEVELOPMENT has a budget of almost €1.9 million for heritage projects around the county. Groups and individuals who want to find out more about the heritage grants are invited to a seminar in the Ferrycarrig Hotel on Wednesday, March 21 at 7 p.m. The event follows a similar wellattended seminar held recently to inform people about a village development programme for which grants are also available. The money has been allocated under the Eu/state-funded National Rural Development (Leader) Programme which is continuing up to the end of 2013. Wexford Local Development is determined that local community groups, businesses and individuals avail of the grant package to promote and develop Wexford's heritage. The 'Developing Your Heritage' seminar will be attended by representatives from the Heritage Council and WLD. Among the speakers will be Dr. Ronano' Flaherty, a Wexford-based heritage consultant who has been involved in several major heritage developments in County Wexford. He will be joined by Alan Ryan of the Colclough Walled Garden at Tintern Abbey which is being restored to its former glory by Hook Rural Tourism; Aidan Quigley of Loftus Hall and Jim Hurley, an environmentalist interested in protecting the natural heritage of the south Wexford coast. The Construction Industry Federation (CIF) has welcomed the announcement that the Government is to spend E1.5 billion on a new schools building programme over the next five years. However it has cautioned that the programme will need to set fair tender guidelines to include most contractors if it is to provide a widespread boost to the construction industry in Ireland. Speaking about the announcement, CIF Director General Tom Parlon said, "Under the details of the programme the Department of Education expects to create 15,000 direct construction jobs and 3,000 indirect construction positions. What is vital is that those jobs are spread throughout the industry. We don't want to see a situation arise where many Irish contractors are not allowed to even tender for these projects." "There is a very strict tendering process in place for schools building. It is important that quality buildings are constructed which provide good value to the State. It does not help the economy however if these building projects start to go to construction companies from outside of the State. That will not provide a boost to employment in the Irish construction sector." "With this in mind the Department will need to be very careful how they set out the qualification criteria for the tendering process. If the guidelines are too strict we may see only a small pool of Irish construction companies able to apply for this work. That will not provide the boost that the industry needs. It would also result in many of the estimated 15,000 construction jobs going to non Irish companies." Glanbia's property arm has lobbed in a fresh planning application on a 15-acre site in Cork. The firm has watered down a scheme for the site that was rejected by An Bord Pleanala in 2010. Glanbia had hoped to build 79 houses as well as commercial premises. Embraced by the majestic Boyne River and in the shadow of the Bru na Boinne sites -- which include Newgrange, Knowth and Dowth -- the 18th century heritage village of Slane should be a wonderful place to live. Instead, pubs and businesses and two banks have closed and even the atmospheric old hotel, once a home from home for salmon anglers and a meeting point for locals, is no longer open. The trouble, according to many local people, is that Slane and its hinterland is paying too high a price for its wonderful location in the lea of Newgrange. They say the authorities care only for the dead ancestors of 5,000 years ago. At the same time the 2,000 or so living inhabitants feel that they have been saddled with all the disadvantages of having a world heritage site on their doorstep and none of the advantages. Nearly one-third of the land area of the parish is effectively a no-go area for planning permission. Young couples with growing families can't get permission to add even modest extensions so they are moving out. Farmers can't gift sites to sons and daughters. It means that out of 190 children under 18 years playing with Slane GAA club, only a dozen come from the "dead zone" around the world heritage site. The Bru na Boinne Visitor Centre was built in the late Nineties well outside the village and -- crucially -- on the other side of the Boyne. It was a blow to most locals who wanted Slane to act as the gateway to the neolithic treasures. That would have meant the local economy would have got a lucrative spin-off from Bru na Boinne. However, there was a section of the community who were opposed to building the centre in the village. Clare Tuffy, manager of the Bru na Boinne Visitor Centre, told the Sunday Independent that 230,000 people went through its doors last year. But all admission to Newgrange and Knowth is through the visitor centre and there is no direct access otherwise. Visitors are brought from the centre to the monuments by shuttle bus and many of those have already been bussed in by coach from Dublin and further afield. They visit Newgrange and then go home, seldom stopping in Slane. Ms Tuffy accepts the village gets little peripheral business from the centre -- but points out that the centre does provide about 40 jobs, many of them filled by locals. The latest blow to Slane came courtesy of An Bord Pleanala, which decided two weeks ago to reject plans for a bypass of the village. Meath County Council had sought approval for a 3.5km route crossing the River Boyne on a new bridge between the townlands of Fennor and Crewbane, east of the existing Slane bridge. In its refusal, the board said the proposed bypass is within the "viewshed" of the Bru na Boinne and "would be acceptable only where it has been demonstrated that no appropriate alternative is available". The refusal means a by-pass of Slane may now not happen at all. Last year the National Roads Authority (NRA) was told by Government to conclude planning on all current road schemes -- and now the NRA simply doesn't have the cash to prepare a new route that would meet An Bord Pleanala approval. Gabriel Mullen lives in Dowth. He says that the OPW and the other authorities have a stranglehold on the area. His daughter Sarah has been trying for seven years to get planning permission to build on the site beside the family home, without success. "They are slowly but surely killing off this area. We are being treated as second-class citizens," he says. "Since 2001, there have been 27 planning refusals for dwellings on the north side of the river and there is obviously a high number on the south side," he adds. Mr Mullen is not alone. A neighbouring couple with two young children were refused planning permission outright for a modest two-bed extension to their small cottage. Cllr Wayne Harding says the world heritage status was now toxic in its immediate environment. "I have met farmers who cannot give their children a site for a house, and community organisations who have to meet with government officials before they apply for very minor planning applications. The villages of Duleek, Donore and Slane get no economic kickback from 230,000 visitors a year that are right on their doorstep. "The final straw is the refusal of the Slane bypass -- because the road's opponents used the extraordinary protection the site has under the Meath County Development Plan to enhance their objection to a road that the people of Slane have wanted for 20 years," he said. Eddie Downey, who is IFA deputy president, has a farm in the area. He accepts that he lives in a unique area but says that this means that unique solutions must be found. He accepts that planning permission cannot be granted "willy nilly" in an area of such historic importance -- but he feels that other measures should now be introduced so that those who come from the area can continue to live there. "We are the people who know it best. My belief is that if an existing house comes up for sale, locals should be able to benefit from special provisions which means no capital gains and no stamp duty on the property. That would preserve the people in the area. Something has to be done," he says. Gabriel Mullen believes the overall concept of the World Heritage Site initially was to make the area into a quasi-national park. "But they obviously could not afford to buy out the farmers who own the land so they proceeded to simply implement the same rules of a park. "There is an effort to ethnically cleanse the area," Gabriel Mullen says. PLANS FOR the €153 million expansion of the Guinness Brewery at St James’s Gate in Dublin have been appealed to An Bord Pleanála. Drinks company Diageo was last month granted permission by Dublin City Council for the development to build a new brewhouse within the 55-acre campus that runs from James’s Street to Victoria Quay, close to Heuston train station. The expansion would increase the capacity of the St James’s Gate brewery to more than eight million hectolitres from its current level of five million. What's the skyline got to do with it? The plan for a new children’s hospital was rejected partly to preserve Dublin’s appearance, but are we being too precious about our rooftops, asks GEMMA TIPTON. IN THE DEPTHS of the last recession, before the advent of cheap flights, the only affordable way to get home from London was by boat. My strongest homecoming memory is of standing on the deck of the St Columba ferry, waiting for a glimpse of Ireland. Through the morning mists, the first things you could make out were the churches. Spires and steeples defined the skyline. Making the same trip two decades later, it was remarkable how much had changed. No longer was the view from Dún Laoghaire to Dublin Port punctuated by ecclesiastical architecture – instead, rising above all else, were the cranes. Minister for Health James Reilly has appointed an architect, two planners, a number of senior doctors and a British hospital executive to the group examining the decision to refuse planning permission for the new national children’s hospital. The group, which is to be chaired by former HSE chairman Frank Dolphin has been asked to report back within 56 days. Among those appointed to the group today were town planner Simon Clear, a former senior inspector with An Bord Pleanála and John Martin, who recently retired as principal planning advisor to the Department of the Environment. A HOUSING SITE of over 16 acres going for sale at a key location in Castleknock, Dublin 15, will be one of the first significant tests of how much development land values have fallen in the outer suburbs since the market collapsed in 2008. Diswellstown House, a large 17th century mansion and its extensive grounds, are expected to make in excess of €10 million – a long way from the € 25 million-plus paid for it in September, 2005, by Redquartz Boundary, a company controlled by Niall McFadden and Paddy Kelly, who later syndicated it out to a group of private investors. The purchase was funded by Bank of Ireland. A VISITOR and exhibition centre is to be developed at the Kennedy ancestral home in Dunganstown, near New Ross, Co Wexford. It is hoped the new centre, for which a planning application has been lodged with Wexford County Council, will be completed by next year, the 50th anniversary of the visit to the homestead by late US president John F Kennedy. THE WAY has been cleared for the transfer of land on the historic Abbey Island in the Derrynane National Historic Park in Co Kerry to Kerry County Council. The transfer will allow for an extension of the island graveyard which houses the tombs of the O’Connells in south Kerry, and where for centuries coffins have been carried across a sandspit at low tide. THE INCLUSION of a planner on the expert review group on the National Children’s Hospital has been called for by the Irish Planning Institute. Its president, Brendan Allen, said the body representing professional planners was “very concerned that a professional planner may not be included in this group”. He said the issue arose after reports the review group to be appointed next week would include members who have architectural and clinical expertise. A greenfield location will be considered for the new children’s hospital as an alternative to the city centre Mater site, Health Minister James Reilly confirmed. However, such a decision would make it "challenging" to have the hospital completed by 2016, as promised by the Taoiseach in recent weeks. Two weeks after An Bord Pleanála refused planning permission to the hospital on the site of the Mater Hospital, the Cabinet yesterday approved setting up an expert group to examine the options. Mr Reilly said that"everything was on the table" for the group and "whilst we want to build it as quickly as possible, we don’t want to rush it." He said: "We’ve a wonderful opportunity here to do something that will serve our country and children of the country well for the next hundred years. Let’s do it right. But let’s do it quickly." * Implementation risks of the different options. Dr Reilly, who had spoken about developing a smaller children’s hospital at the Mater site, denied he was now leaning towards a greenfield location. He said that there were advantages and disadvantages involved with this. "This expert group need to have a good, long hard look at this. I don’t think it would be right for me to pre-judge anything they are going to come up with." Asked if he could guarantee the hospital would be completed by the 1916 centenary if it moved to a greenfield site, he said: "It’ll prove challenging, there’s no question about that." However, he said there would be advantages. "You would be able to build 24 hours a day if you were away from a built up area. And there would be considerable advantages in terms of expediting the construction once we got through the tendering and the planning process," he said. He said he believed that co-locating the children’s hospital with an adult hospital was important, as was further "tri-location" with a maternity hospital. He said the research elements of the project were also important. Fianna Fáil health spokesman Billy Kelleher urged the minister to clarify how long it would take to get the project up and running after the expert group reports in mid-May. He said the expert group should have been asked to consider the fact that co-location produced the best clinical outcomes for children. "Are we now downgrading the potential for a world class, co-located facility by the very fact that it is not mentioned in the terms of reference?" An expert group will have less than two months to report back to the Government on alternatives for the long-awaited national children's hospital. Health Minister Dr James Reilly said the team must examine why planners rejected the Mater site and consider different options. He maintained that the Government was still committed to the project and that all options were on the table, including building on a greenfield site. "We are asking them to give us their best advice on what's the best way forward," said Dr Reilly. "We are very cognisant of the fact that this is a hospital that will serve us for 100 years or more and while we want to build it as quickly as possible we don't want to rush it either." An Bord Pleanala refused permission for the 650 million euro facility in the controversial north Dublin site, warning the 16-storey glass building was not sustainable and would overwhelm the Georgian district. Coombe Hospital in south Dublin and a group of farmers in south Dublin have since offered separate sites for the facility. Businessman and former Health Service Executive chairman Dr Frank Dolphin will spearhead the review team, with members who have architectural and clinical expertise to be appointed next week. They will have 56 days to make recommendations on how plans for the 400-bed Children's Hospital of Ireland can progress with minimal delay. The terms of reference include examining government policy on the delivery of health services, the cost and value-for-money considerations of the different options, the likely timelines associated with the different options and the implementation risks associated with the different options. The Cabinet is to meet to discuss the National Children’s Hospital debacle tomorrow amid growing opposition to downsizing the facility and increasing evidence of the crisis within existing paediatric services. It emerged at the weekend that the heads of three medical schools have added their voices to fears that important features of the hospital could be sacrificed to make it fit the Mater site. Professor Hannah McGee of the Royal College of Surgeons in Ireland, Professor Dermot Kelleher of Trinity College, and Professor Bill Powderly of UCD reportedly called on Dr James Reilly, the minister for health, not to make the hospital smaller to try to appease An Bord Pleanála. 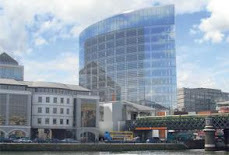 The planning body two weeks ago refused permission for the hospital on land at the Mater Hospital in Dublin on the grounds that the 16-storey structure would ruin the city skyline and constituted overdevelopment on a crowded site. Dr Reilly reacted by saying that a redesigned hospital with some of the "grandiose" elements removed was a possibility, rather than relocating to another site. He cited laboratories and education facilities as features that could be scaled back. However, the three medical school heads were reported to have written to him to express alarm at such a proposal, warning that research and education were critical to the development of a world-class hospital. Their intervention follows that of the Faculty of Paediatrics at the Royal College of Physicians of Ireland, which has also warned against any "cut to fit" policy. The urgency of getting progress on the project is highlighted in a new fundraising campaign by Our Lady’s Children’s Hospital, Crumlin, one of the three hospitals meant to be replaced by the new facility. In newspaper, billboard and radio advertisements appearing today, it appeals for help to raise €8m needed to upgrade cancer and cardiac facilities at the ageing, overcrowded hospital. The "Sick Children Can’t Wait" campaign is fronted by Dr Orla Franklin, consultant paediatric cardiologist, who said children deserved to be cared for in quality facilities. "Every year Our Lady’s Children’s Hospital treats 130,000 children. We carry out 550 open-heart surgeries. Children are fighting aggressive cancers. These tough life struggles are happening in cramped and out-of-date facilities. This has to change." A revamp of the cancer ward in which critically and terminally ill children have to share rooms, is at the tendering stage, while work on the cardiac ward is at planning stage but the hospital says it could complete both in a year with funding. The work will proceedregardless of what happens with the new national facility. "Children are sick right now. Their illnesses ignore time and circumstances," said Dr Franklin. A spokesman for Dr Reilly, who announced the setting up of an expert group to review the new hospital plans, said Cabinet intended considering the terms of reference for the review tomorrow and announcing membership of the group by the end of the week. A POSITIVE gloss has been put on an announcement that the National Assets Management Agency (Nama) will provide some 2,000 houses and apartments to local authorities for social housing purposes. The outcome will please those fortunate people who stand to benefit from the decision. But surely Nama, as the largest property holder/developer in the State, would have been required to release these completed dwellings in any event? The Planning Act requires builders to set aside 20 per cent of an estate for social purposes. THE KEY aspect of any review of plans for a national children’s hospital is whether the terms of reference provided by the Coalition are sufficiently broad to allow the review group to examine alternative locations to the restricted Mater site on Dublin’s northside. As the New Children’s Hospital Alliance has noted, no group of advisers on this ill-fated project other than the internal Department of Health/Health Service Executive task group – which reported in June 2006 – actually examined alternatives to the Mater site. A PROPOSAL to locate the new children’s hospital on a 20-acre site near the Coombe and St James’s hospitals was sent to the Minister for Health James Reilly yesterday. The Coombe Women Infants University Hospital, which made the proposal, said the new facility could be completed in 3½ years once approved. The proposal would see the national paediatric hospital being developed in Dolphin’s Barn on the former Bailey Gibson and John Player lands, bounded by Cork Street, South Circular Road and Donore Avenue. THE PLAN to build a national children’s hospital on the site of the Mater in Dublin can be put “back on track” within three months, it was claimed last night. Chairman of the children’s hospital development board Harry Crosbie said the Mater remained the best location for the hospital, despite An Bord Pleanála’s decision to refuse planning permission for the project. The matter was discussed yesterday by the Cabinet, which continues to favour the Mater site as the location for the new hospital. A plan that envisages three new villages for Dublin has gone on public display. The draft Planning Scheme for the Cherrywood Strategic Development Zone, put forward by Dún Laoghaire Rathdown County Council, proposes three new villages, a town centre and an employment base to potentially accommodate over 17,000 workers. The scheme will be on public display for six weeks at the council’s offices at Dún Laoghaire and Dundrum before it is returned to councillors for consideration. The iconic Peace Bridge in Derry/Londonderry has taken the top prize in the National Planning Awards. The Bridge, designed to link both banks of the River Foyle, took the Overall Award along with the former British Army Ebrington Barracks in a project submitted by the Ilex Regeneration Company. The other category winners were: SEA Monitoring Scheme by South Dublin County Council; Grand Canal Square in Dublin Docklands by Dublin Docklands Development Authority; Individual student project "Rights to Roam, Rights of Way and the Common Good -- Public Rights over Private Land in Ireland" by Louise Burn UCD and the Group Project titled the "Balbriggan Development Plan" by Thirty Two First Year MRUP Students, UCD. THE GOOD NEWS for Limerick is that department store Brown Thomas has no plans to pull out of the city centre, despite on-going speculation that it is about to do just that. The bad news is that there seems to be no easing in the pressures – from poor planning decisions and the recession – on the city centre. “Limerick is a classic example of the ‘doughnut’ effect, with all the development going to the outskirts,” says Mark Allen, a director of Allens, which has recently opened a gift and homeware store in Limerick city centre. A JUDGE has imposed a fine of €25,000 on a farmer in north Kerry for irretrievably destroying an ancient ring fort on lands he had bought just two months earlier. Ownership of property was a right, but this right was “not unfettered” and it was qualified by the fact that property was held in trust for the culture of the country, the judge warned. Imposing the “significant penalty”, Judge Carroll Moran said he was taking into consideration a second charge of the destruction of a souterrain, or ancient underground passage, associated with the fort on lands occupied by John O’Mahony (64) at Clashmealcon, Causeway, in February 2008. AN BORD Pleanála urged the children’s hospital developers to include a consideration of alternative locations for the hospital as part of their planning application, documents released to the public yesterday show. Notes from a pre-consultation meeting, marked “private and confidential”, between the planning board and the Children’s Hospital of Ireland Foundation Ltd on December 2nd, 2010, show the developers did not intend to address alternative sites as part of an environmental impact assessment. HEARING: EXPENSES INCURRED by An Bord Pleanála and third parties for the oral hearing on the rejected Mater children’s hospital plan will cost the hospital’s development board almost €300,000. Bills sent to An Bord Pleanála, to be forwarded to the Children’s Hospital of Ireland Foundation Ltd, the company that lodged the application, included the cost of soup, sandwiches and taxis for some local residents. An Bord Pleanála has claimed total chargeable costs of over €200,000. The figure includes more than €190,000 for “inspectors’ time” on the oral hearing and pre-application consultation.